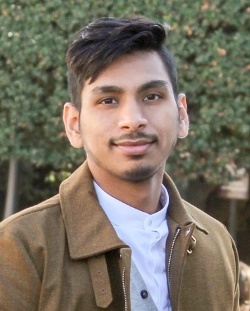 Vishwanath Guduguntla is currently pursuing his Master’s degree in Computer Science at Sapienza University (The State University of Rome) In Italy. Vishwanath holds a Bachelor’s degree in Computer Science. During 3 years of his professional experience, Vishwanath has held titles such as Associate Technical Specialist, Senior Analyst at Tech Mahindra & Accenture PVT, India. Research Interests: Entrepreneurship, Embedded Systems, Strategy, Information Systems. For more information about Computer Science Program at Sapienza University of Rome, Click here. Share the post "Vishwanath Guduguntla"